Come and enjoy casual cafe dining in Bob's at South Tweed Tavern. We have a delicious modern menu filled with share items, succulent burgers and tasty hot dogs, delicious pizza, plus classic favourite pub fare. Our spacious indoor and outdoor dining makes for dining pleasure in a relaxed setting. It's a great place to catch up with family and friends over a tasty meal. 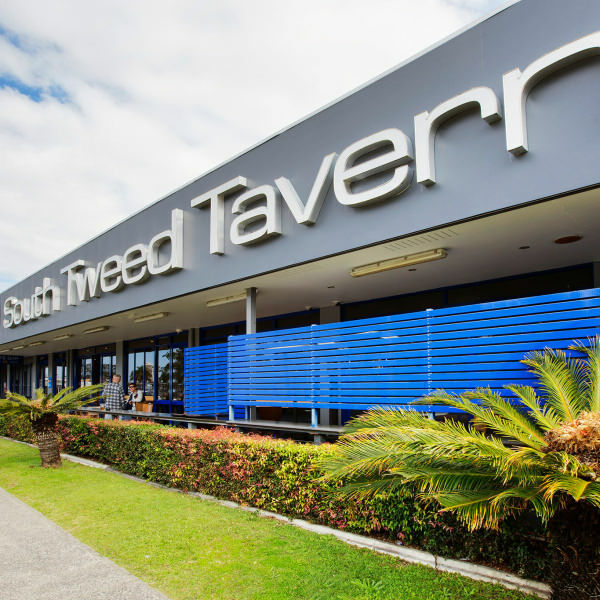 South Tweed Tavern Sports bar offers an extensive range of beverages and a counter meal menu at pub prices, the tavern is the perfect place to catch up with friends and family. While having a drink you can watch the big screens for sports or major events, enjoy our TAB facilities or challenge your friends to a game of pool. South Tweed Tavern offer reserved public areas for your next function occasion. We are ideally suited towards casual social and corporate events; birthday celebrations, Christmas parties and work events. We have a range of function platters cater for your function event. Please speak to our friendly staff about hosting your next celebration here at the South Tweed Tavern.